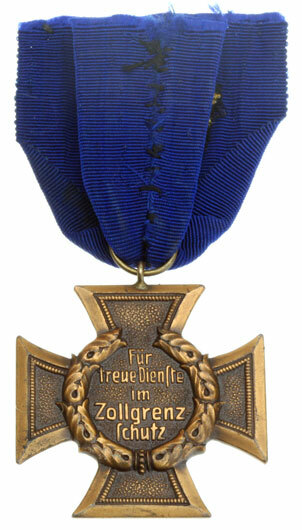 Zollgrenze: Die struck tomback, 42 mm, 22.05 gm, embroidered gold eagle on original full width ribbon salvaged from a medal bar, resewn repair, light wear. 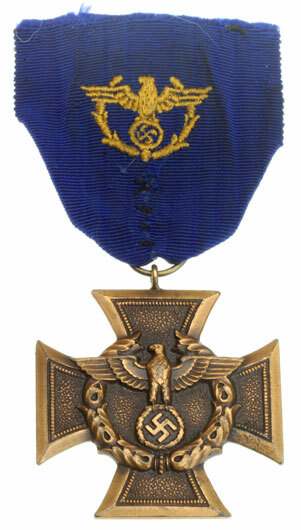 In 1939 Adolf Hitler established the Customs/Border Security long service decoration for award to personnel for meritorious service. The award was made in one class and was awarded to officers for four years service and to civilian employees for eight years service.